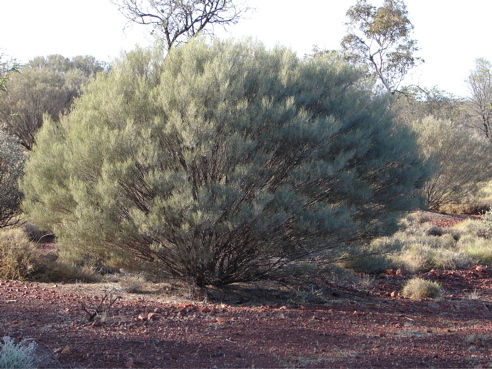 Wide spreading grey shrub to 3m, from the East Pilbara. Cylindrical flowers and long, wide, papery pods. This entry was posted in Acacia and tagged Acacia ramulosus ssp linophylla. Bookmark the permalink.